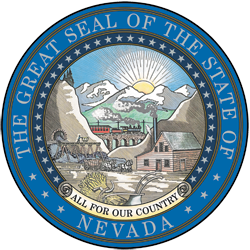 No more bogus financial certifications; Nevada updates securities laws to protect seniors with passage of NRS 90.425. The Nevada legislature took steps to protect seniors and retirees by prohibiting the use of misleading financial certifications and designations used by unscrupulous financial advisors to target seniors. Unethical and dishonest financial advisors have long used made up or bought and paid for financial certifications and accreditations designed to impress and mislead senior citizens. Bogus financial certifications such as “chartered wealth advisor” or “certified senior planner” will now come under scrutiny by the Nevada Secretary of State’s securities division, thanks to the new law passed by the legislature: NRS 90.425. Unless the accreditation was issued by a licensed broker dealer or is recognized by one of three certifying agencies, a rebuttable presumption will exist that the use of the financial certification is improper and misleading. Some of the factors to consider in evaluating whether the use of the certification is misleading are: whether the financial advisor conferred the financial certification upon himself, whether the organization that issued the financial certification has standards and procedures for assuring the competency of the certificate holder; whether the certifying organization has standards and procedures for monitoring and disciplining the certificate holder, and whether the certifying organization has requirements for continuing education. Under the plain language of the new law, individuals who engage in violations are deemed to have engaged in dishonest and unethical practices, which could give rise to enforcement actions as well as civil liability. The Law Office of David Liebrader practices exclusively in the field of investment loss recovery. For the past 23 years, we have dedicated our law practice to assisting Nevada investors who have been victims of investment fraud via fraudulent and unsuitable investment transactions. During that time we have recovered money for over one thousand individuals, pension plans, trusts and companies. The recoveries we have obtained via judgments, awards and settlements on behalf of our clients exceed $40,000,000.